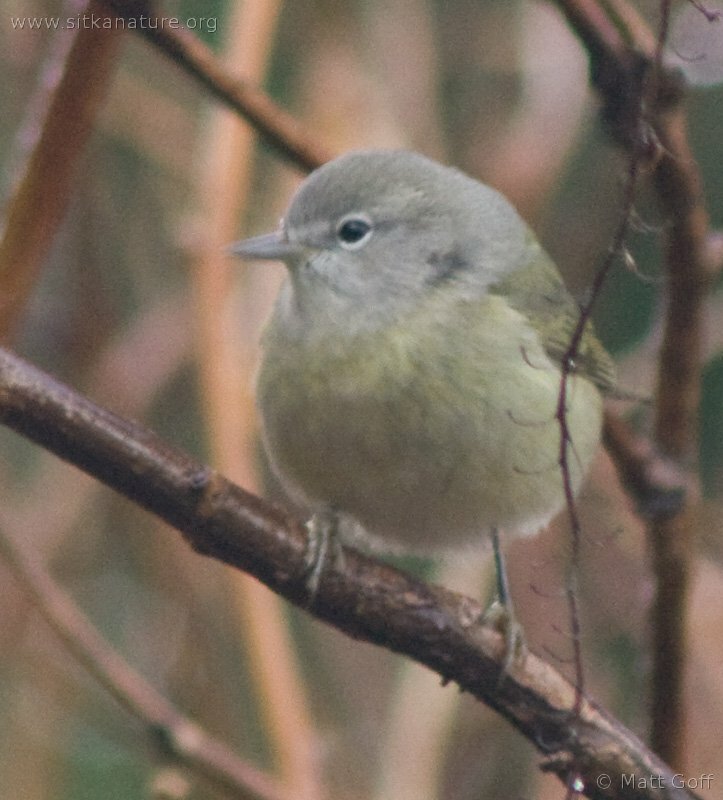 This afternoon I was able to observe the mystery warbler again several times, and was also able to get some better photos. In addition, I discovered there was a second warbler, this one far more yellow than the first. 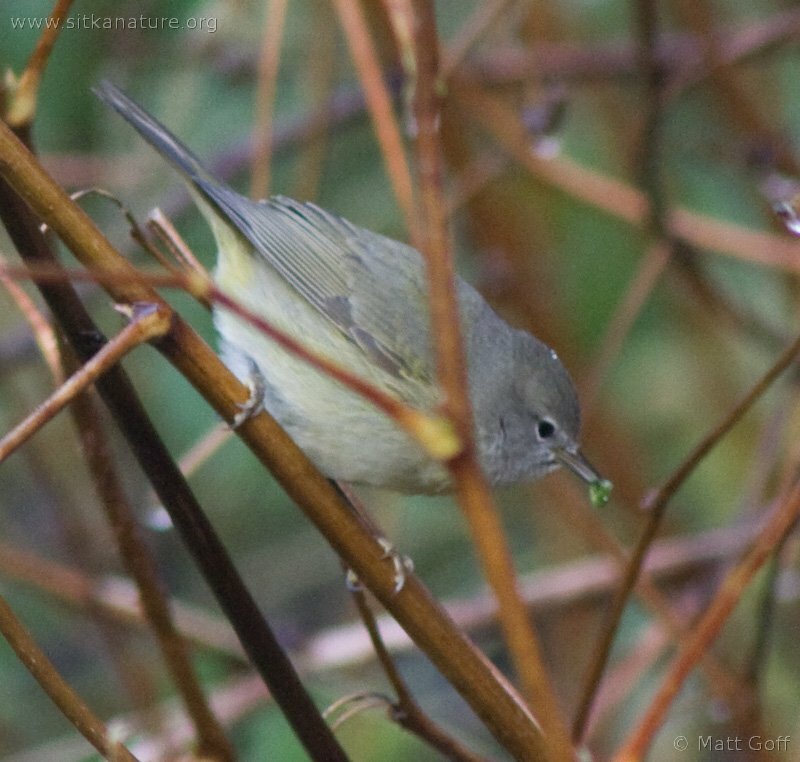 Though the warblers did not remain together in an exceptionally close association, they did seem to move around with each other to a certain extent. 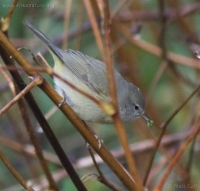 Both were actively foraging, mostly in the open grassy or weedy areas, but occasionally (and briefly) on trees. It’s possible that they utilized trees more than I realized, because they were most easily observed on the ground. On a few occasions, I saw them come up with pretty good sized insect larva that I took to be caterpillars. 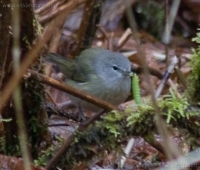 When they got one, they would usually fly up to a branch to eat it (or perhaps I only noticed it when they did this). Comments I received on the first post, as well as through e-mail, mostly suggested Orange Crowned-warbler, though I did have one response that it might be a Palm Warbler if it did a lot of tail pumping. As I did not notice any significant tail pumping, it probably was not a Palm Warbler, though the earlier photos showed some similarity to a Palm Warbler photographed in Gustavus recently. 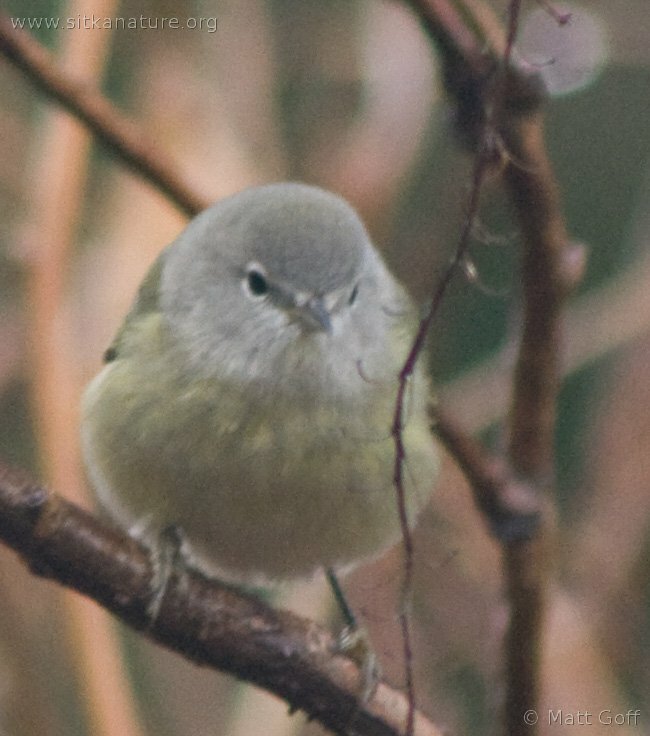 While the second warbler seems a bit more typical of an Orange-crowned Warbler, I’m still not absolutely convinced of the identity of the first warbler. However, it seems most likely that it’s also an Orange-crowned Warbler perhaps of the Taiga race (Vermivora celata celata), rather than the more typically seen (in Sitka) Pacific race (V. c. lutescens). 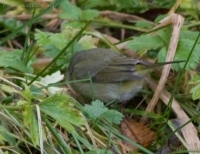 The yellow rump still seems a bit strange, but otherwise things seem to fit. Faint pale yellow wash on breast, contrasts against pale gray of throat and head. 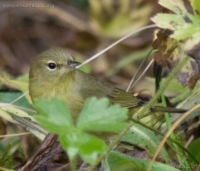 The second warbler, presumed to be an Oranged-crowned Warbler. I belive it’s a new late record for this species in Sitka. 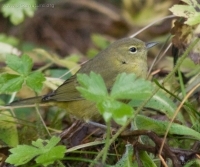 This entry was posted in birds, identification and tagged identification, Orange-crowned Warbler. Bookmark the permalink.